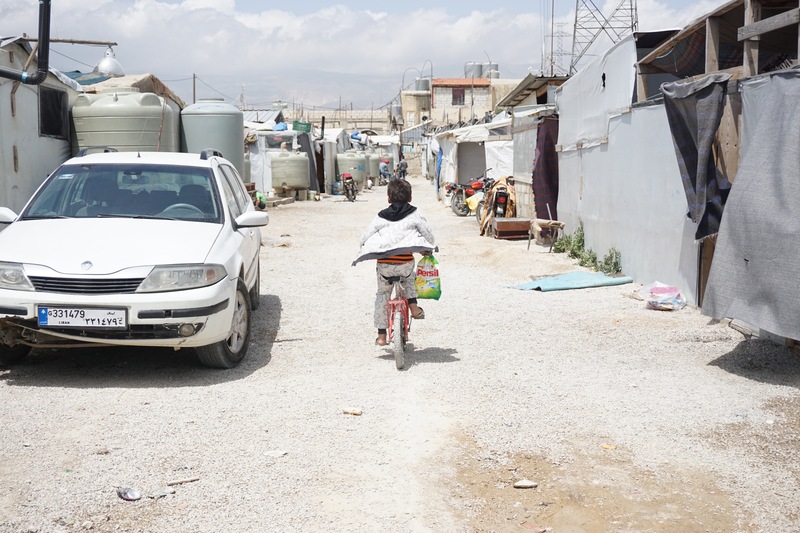 "The Need for Mental Health Services is Beyond Words"
My six years providing care for Post-Traumatic Stress Disorder (PTSD) could not have prepared me for the complexity and gravity of the psychosocial wellbeing in refugee settlements in Lebanon. 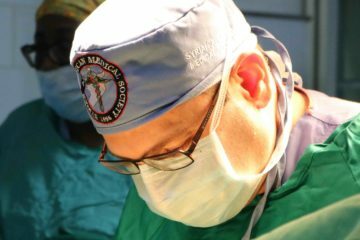 I recently joined the Syrian American Medical Society as a mental health volunteer on a medical mission to the Beka’a Valley in Lebanon. As a Social Worker in the United States, I worked as a Dialectical Behavioral Therapist, specializing in providing clinical therapy for chronic suicidality, urges to self-harm, PTSD, and chronic distress. 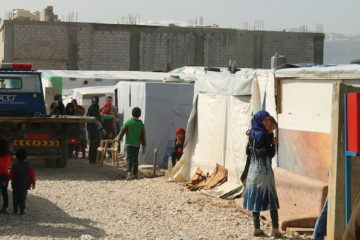 While in the Beka’a Valley, where over 350,000 refugees reside, my role was to provide triage based psychological services within the settlements; provide psychological support to the other medical volunteers; and provide trainings on “Suicidality & Self-Harm” to the SAMS psychosocial therapists working in Lebanon. 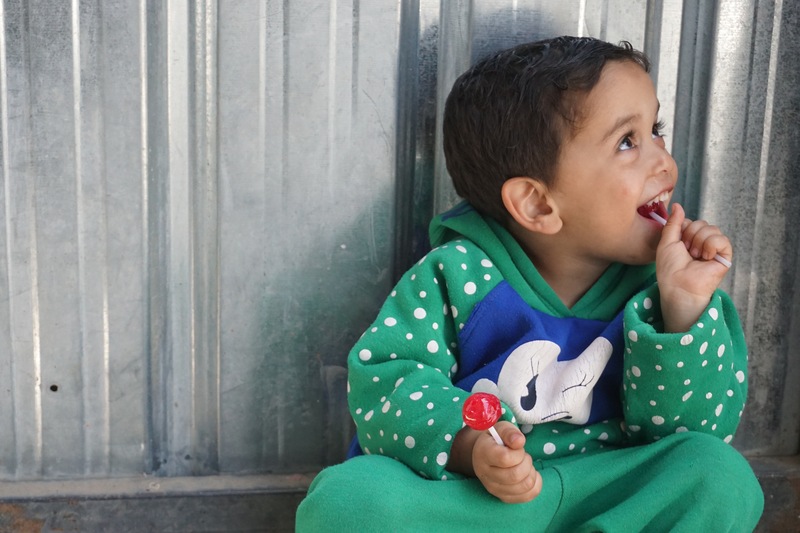 During the medical mission, my colleagues and I spent seven days working within informal settlement in the Beka’a Valley that were referred to as “Widow’s Camp,” located one mile from the Syrian-Lebanese border. There, most of the residents’ male relatives – husbands and fathers – have been killed in the conflict or have gone missing. The Beka’a Valley houses close to half a million Syrian refugees; they are legally barred from gaining employment in the country’s formal economy. 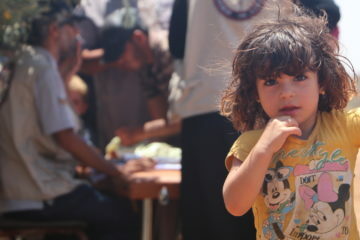 With Syria entering its eighth year of war, the psyches of young refugees children have been shaped by destructive conflict and its painful consequences. I met many children who bore the effects of trauma and toxic stress. Although outwardly, many of the children I met had a cheerful demeanor, it wasn’t long until I witnessed their underlying stress. I noticed that many children displayed intense emotional dysregulation, quickly shifting from laughter, to anger, to sadness. These rapid shifts indicated the extreme sensitivity of their nervous systems, and chronic hyperarousal — the effects of surviving stressful events such as barrel bombs, chemical attacks, the loss of caregivers and siblings. This trauma is only compounded by the dire circumstances within poorly constructed refugee settlements. While we heard story after story of tragedy and trauma, we also heard multiple accounts of children who resorted to cutting themselves as an effort to relieve intensely deep psychological pain, even if for a brief moment. There were also multiple reports of suicidality. Many of the medical conditions seen in the camp were either exacerbated by, or brought on by, the trauma of this tragic conflict. During these encounters, we engaged each individual in brief psychological first aid, and provided psychoeducation to their parents. Our ultimate hope, however, was accessibility to long-term psychosocial care. SAMS is the only organization to have a known psychosocial presence and clinic in the area. However, transportation remains a significant barrier in accessing these services. Each time we suggested receiving further services, we were met with the same response, “we have no way of getting there. We have no money to pay for a taxi.” The need for mental health services is beyond words, yet the resources simply are not available. The squalid living conditions of the informal settlements only perpetuate such mental health conditions, including depression, anxiety, hopelessness, helplessness, post-traumatic stress disorder, self-harm behaviors, and suicidality. The improvised structures do not provide sufficient protection or privacy, and the water supply is polluted and undrinkable. Because the settlements are unofficial, they also lack plumbing. During my time in Lebanon, one of my primary goals was to implement training for psychosocial therapists at SAMS Psychosocial Center. As I began my training designed to help staff understand the inner workings of suicidality and self-harm, I was informed it was still a work day. Staff were continuously asked to step out and greet clients. The need for mental health services is overwhelming, resulting in each therapist working six days a week. As I expressed my concern for their psychological well-being, I was told they have no other choice, “the volume of clients is so high.” I could see the exhaustion on their faces. They spoke of the difficulties they encounter working with traumatized children and adults, and the need to receive continued training. And not only are the staff heroically dedicating their lives to helping others heal from the deep psychological wounds of war, they are also seeing the pain of their own people. With the staff being Syrian, they too have lost loved ones; they too have fled the war and survived. The layers of intensity the SAMS mental health staff experience surpasses words. And in the midst of their own journey of healing, they still dedicate every fiber of their being to sitting within the psychological pains of others – to help others navigate the true scars of war. 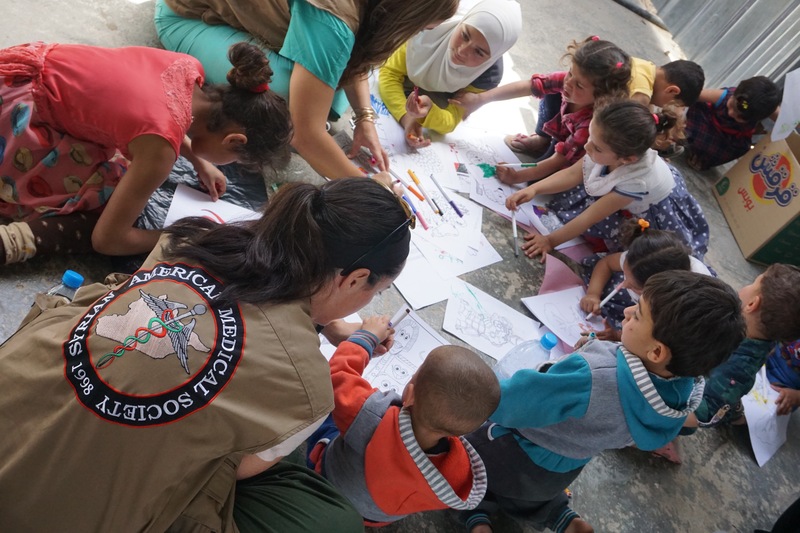 The need to hire more psychosocial staff, and continued advancement in training depends on further volunteer missions, and generous donations from individuals around the world. With SAMS being the only known provider of mental health services in Bek’aa Valley, support of their efforts is not an option – it is a necessity.